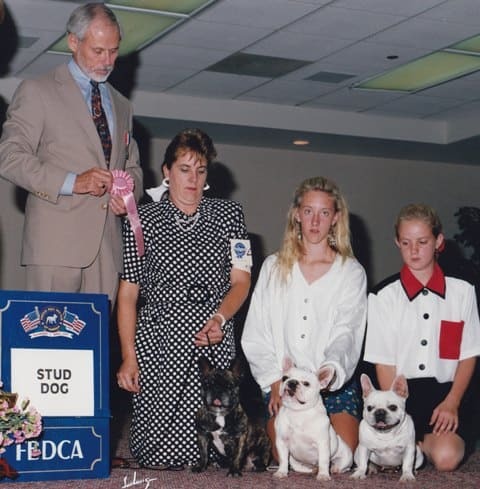 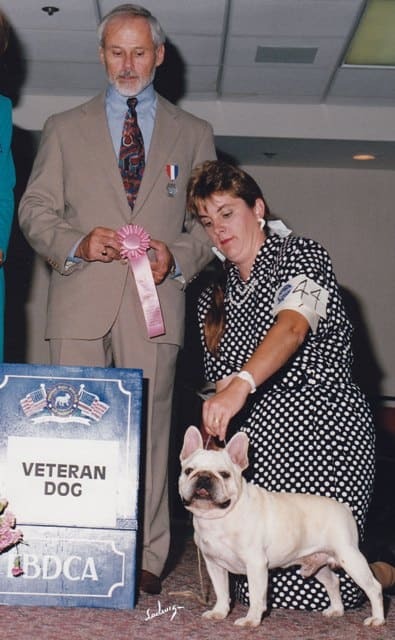 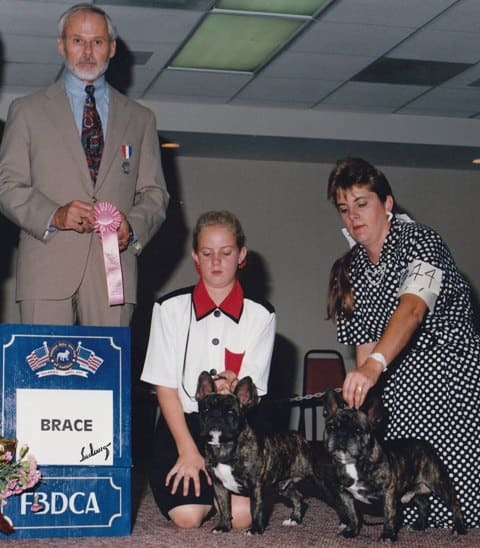 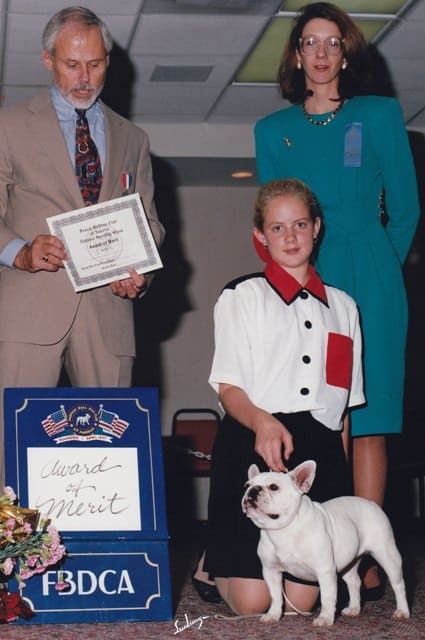 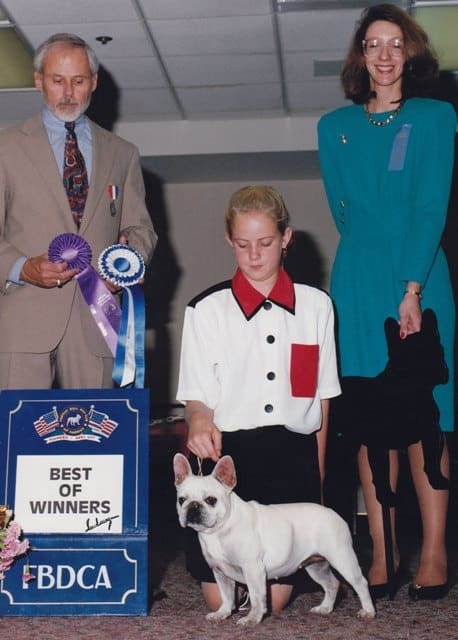 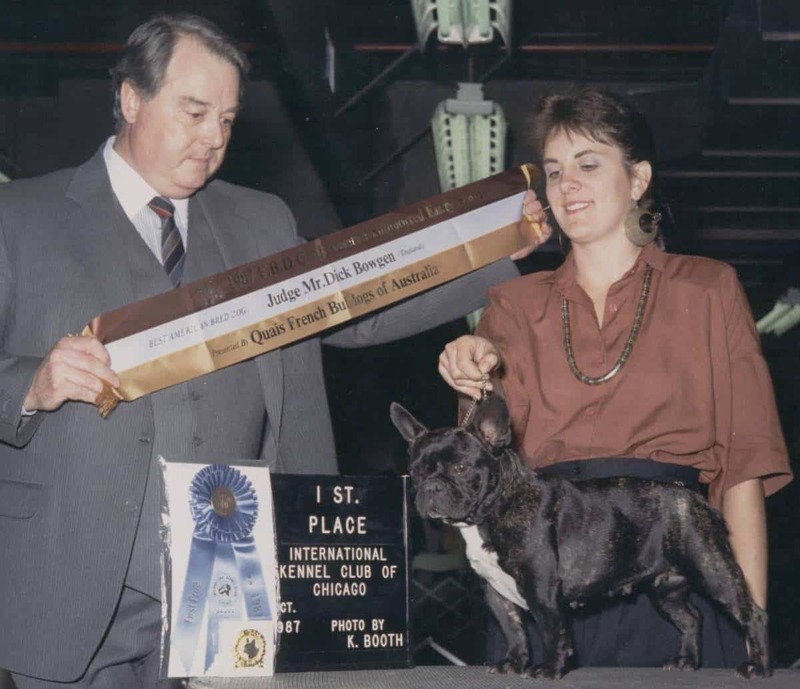 Smokey Valley, French Bulldog Breeder National and International Specialty Pictures of Wins through the years. 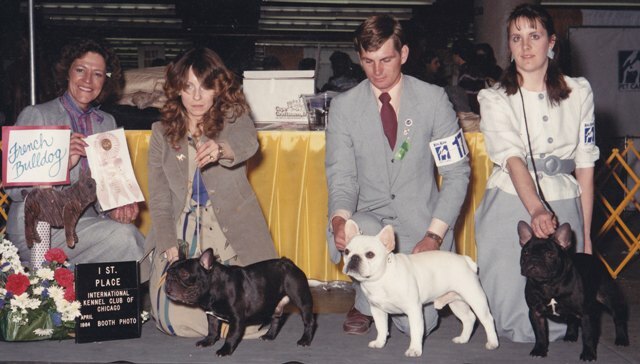 My first trip to a French Bulldog National Specialty Show was to the windy city of Chicago! 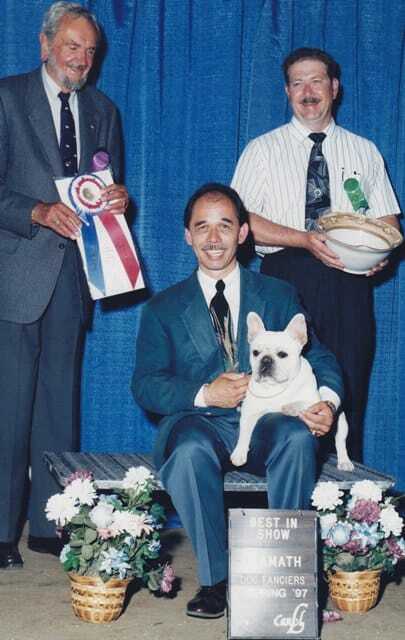 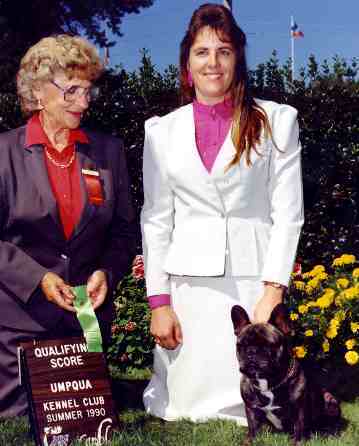 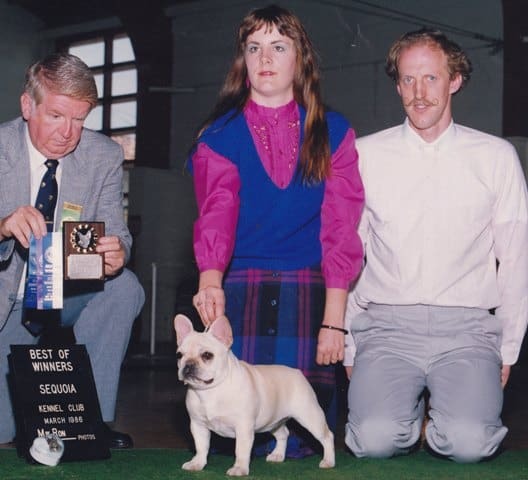 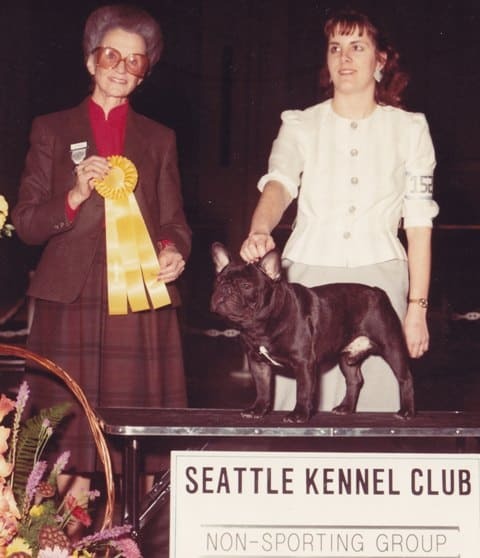 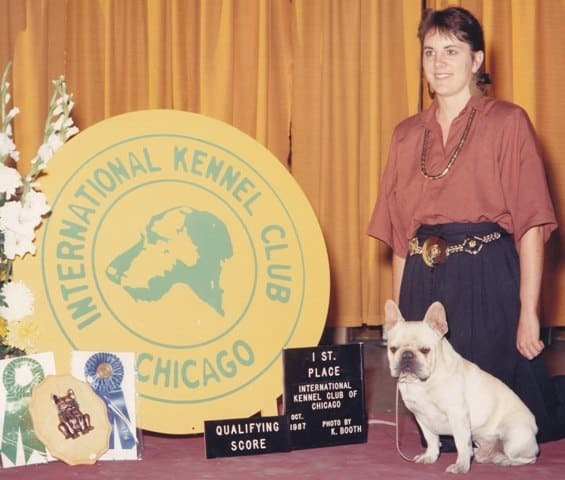 in Oct. of 1984.
effort by going Winners Dog and being part of the French Bulldog winning Stud Dog class as well. 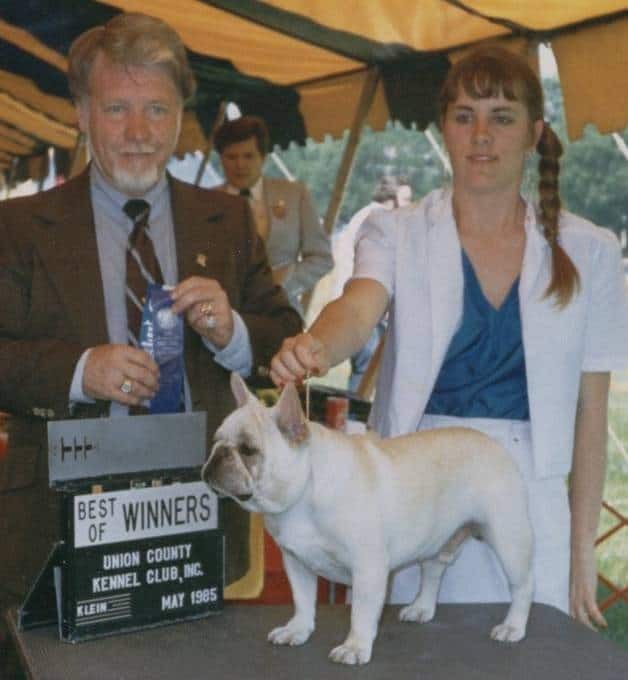 Here at Smokey Valley Kennel we were still young breeders of the French Bull Dogs so this kind of Wins/Awards were just what we needed to kick off our kennel here in Washington State. 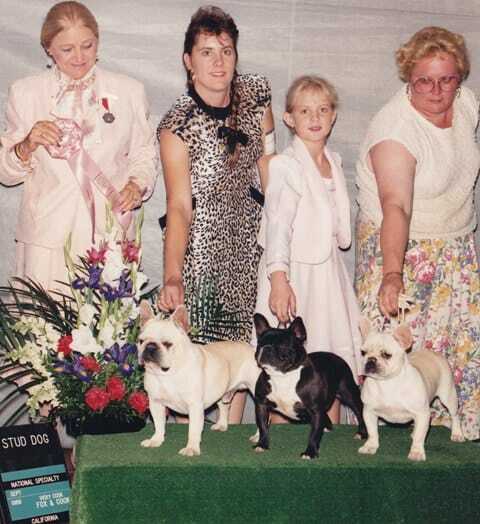 the Foreign, Domestic and International Exhibitors, Breeders of this great pet, family and companion dog. 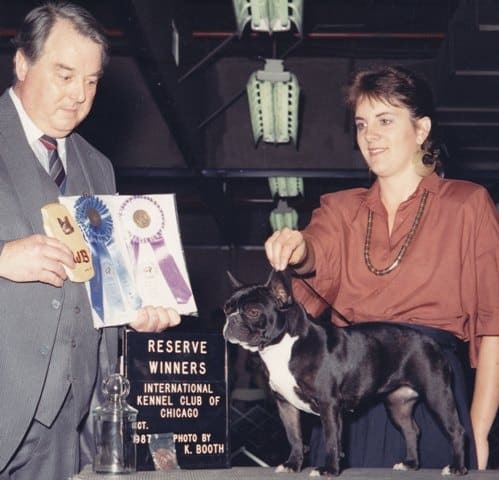 Join us in a look back at the many dogs that have done us proud with their big awards wins at important French Bulldog Shows over the years.